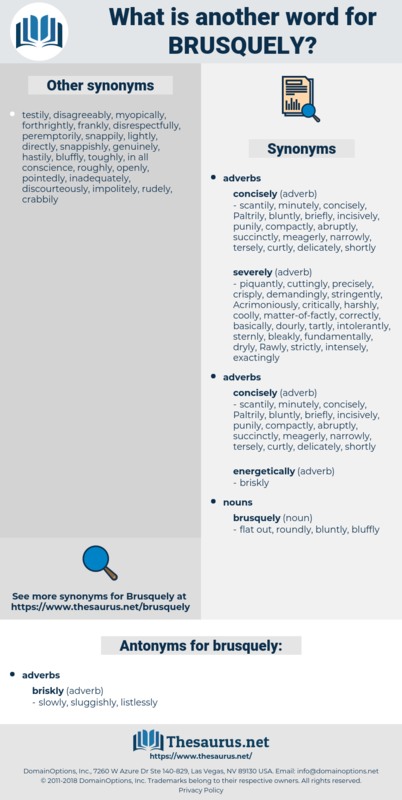 What is another word for brusquely? Well, Mr. Meeson, said Augusta, at last rising brusquely from her chair, the document belongs to you, and so I suppose that you had better see it.
" 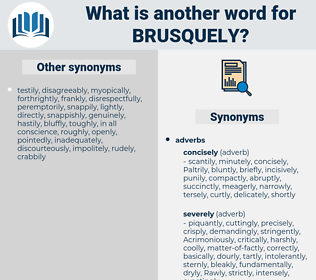 It may be," said I, brusquely.